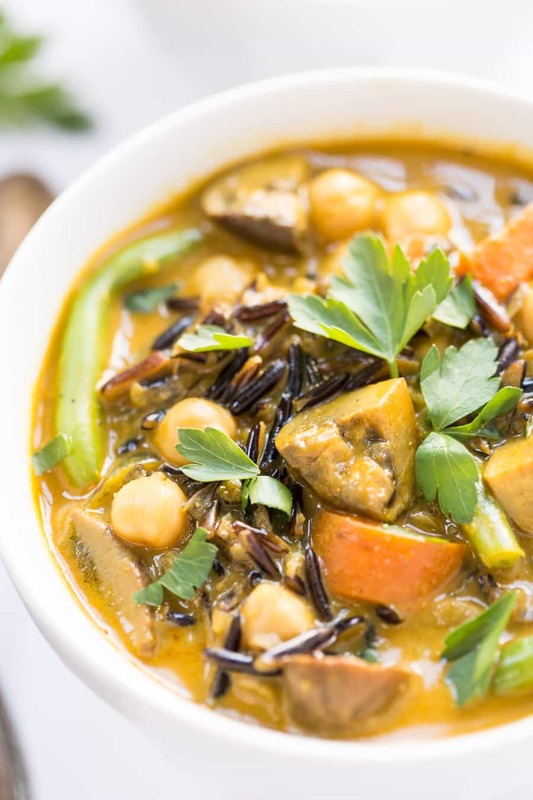 This ultra creamy coconut and turmeric wild rice soup is vegan, bursts with robust flavors and is packed with veggies. Makes for an easy, one-pot dinner and freezes well for leftovers! We've made it! It's Day 5 of Whole Grain Week and you guys have been amazing! 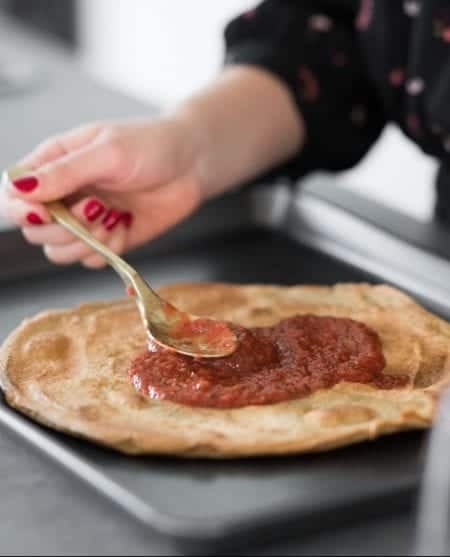 I've loved all the support and excitement, your pictures have been incredible, and your feedback on the recipes has been stellar. You guys seriously rock! And of course, it's been so fun having Bob's Red Mill along for the ride with us! 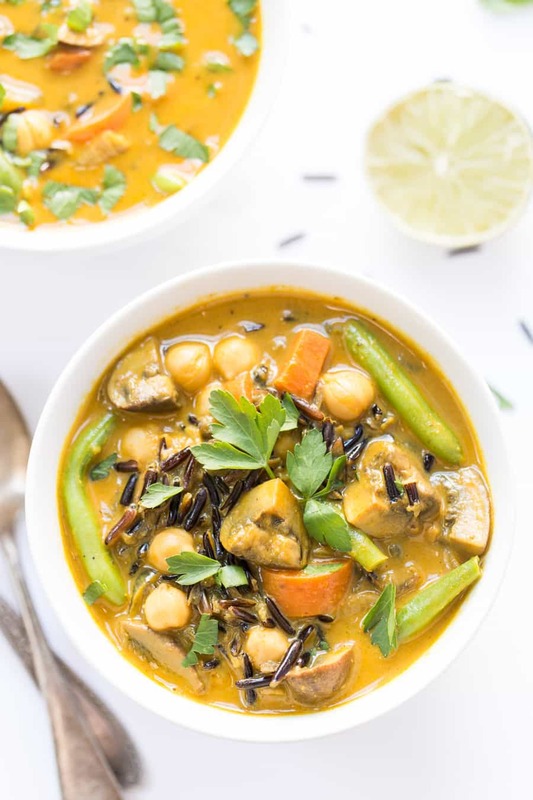 And we're ending this week on a savory note with this amazing wild rice soup that combines coconut milk, aromatic spices like curry, ginger and turmeric, and tons of veggies. It's made in just one pot, stores great in the fridge (yay for more meal prep!) and freezes well also. I just had the leftovers for dinner last night and YUMMO! 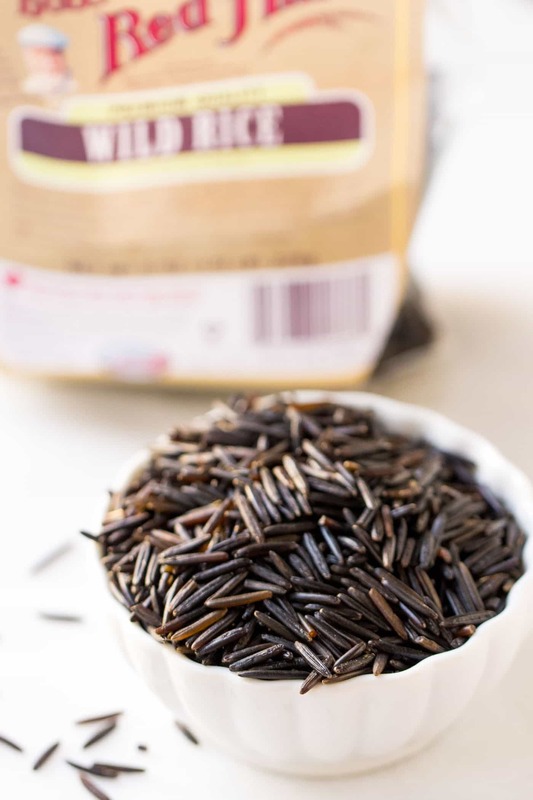 Of course the recipe title gives away which whole grain we're featuring today, and it's…wild rice! Wild rice is a semi-new-to-me ingredient, meaning that I haven't cooked with it much, but each time I try it I like it even more. 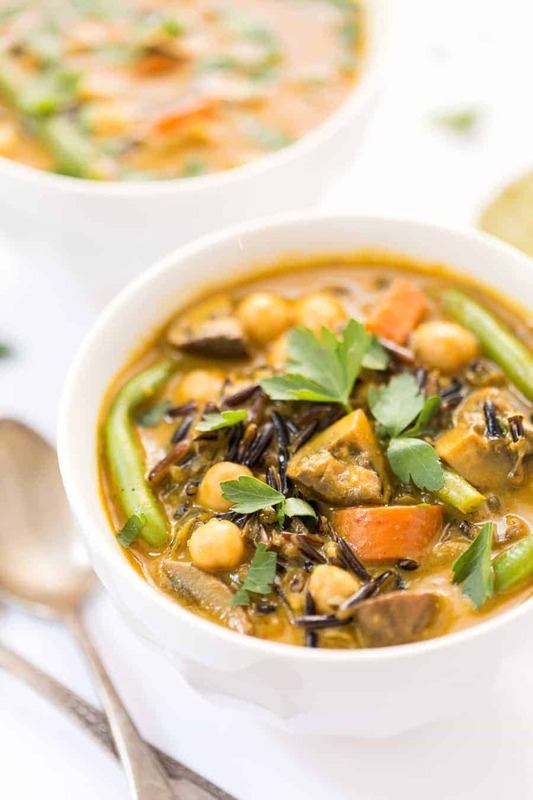 It's got a lovely crunchy texture, it's a teeny bit chewy, tastes quite nutty and of course has that stunning black color which really pops in our turmeric soup! 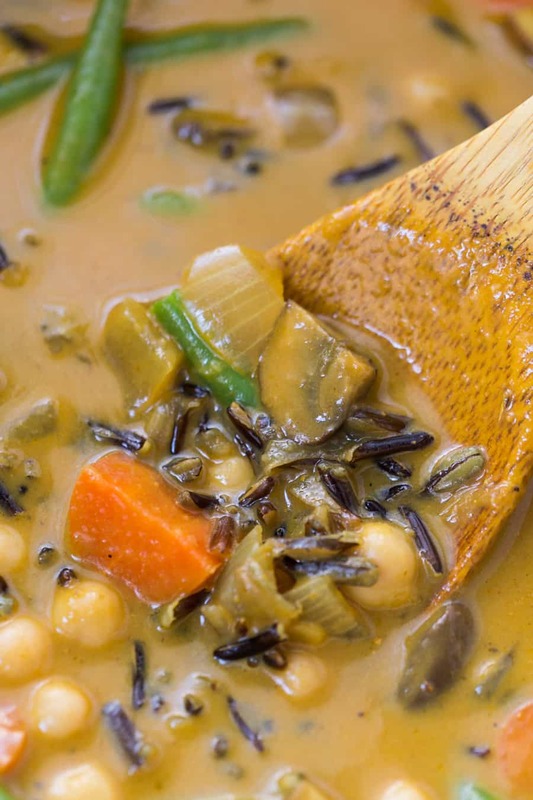 We're using the wild rice from Bob's Red Mill, but as I mention in the video, you can also use their quick cooking wild rice which would reduce the overall cooking time of this soup by about half. 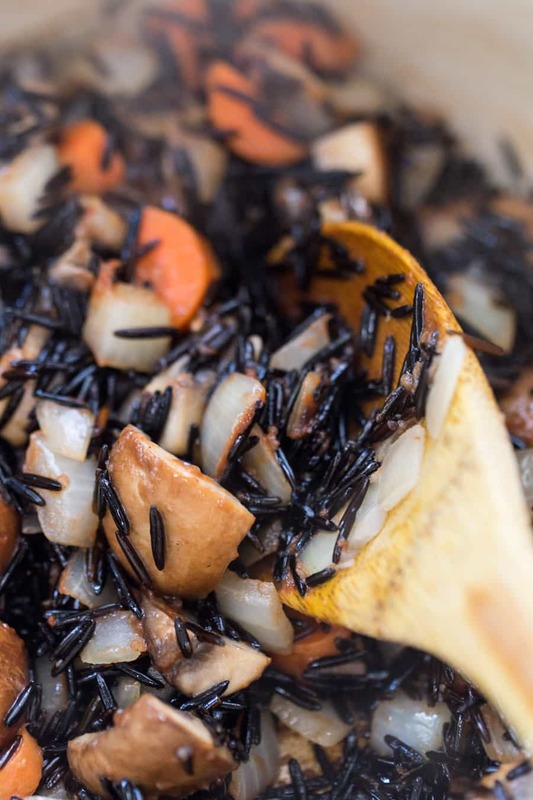 When it comes to cooking wild rice, it takes about as long as brown rice, which is why this soup take so long to cook. But since we're cooking the rice in the soup liquid, it's totally a set it and forget it kind of meal. When you get home after work, just pop everything in the pot and let the soup simmer away while you wind down. 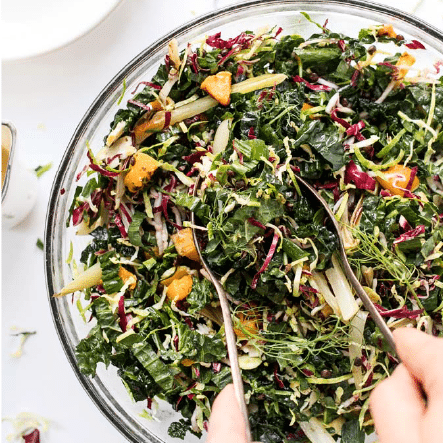 It's simple, delicious and also really hearty too! To flavor this soup, we're using curry powder, ground turmeric, ground ginger and ground cumin. I wouldn't normally add cumin in with these flavors, but I really enjoyed it! I think next time I might also add a dash of smoked paprika to round it out. 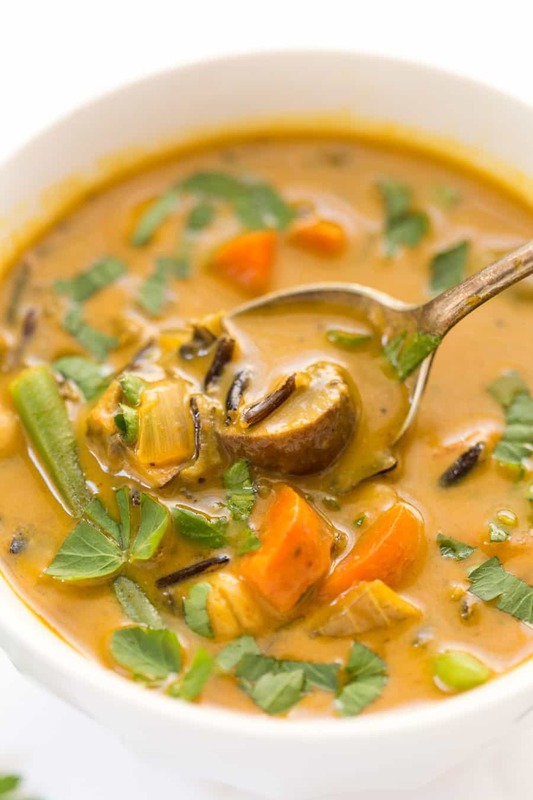 Melt the coconut oil in a large stock pot or dutch oven. Once melted add onion and carrots and saute until starting to brown and onions have softened. Add mushrooms and garlic and cook another 2 - 3 minutes. Stir in wild rice, tomato paste and spices. Add liquids to the pot and bring the mixture to a bowl. Reduce to a simmer and cook for 50 - 60 minutes, until rice is tender. Once tender, stir in green beans and chickpeas and cook until they are heated through. Serve immediately with a garnish of lime juice and/or cilantro if desired! 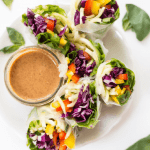 Such a delicious recipe – thank you so much for sharing! Loved this recipe I made it tonight. So yummy. Good morning! This soup looks yummy and I will make it. My question: recipe is 2 3 cups of water. is it 3 or 6 cups of water. THANK YIU FIR YOUR TIME. Wow this is amazing! Currently cooking on the stove- we added green and red peppers as well as used coconut butter instead of coconut oil ( only because it was in the house). Tastes so good! HI there! Is this really only 37 calories per serving?! I’m a “Newbie” to quinoa, veg diet but I must thank you for all your great recipes..I am now one of your devoted followers..
Are the nutritional facts correct? If the calories per serving is 611, shouldn’t there be more fat than just 2 grams per serving? Working with my plugin people to update it – stay tuned!! I made this soup two days and just finished having the leftovers. It was delicious! I’d definitely make this again. The only thing I did different was that I did not use any rice. Loved it! Thank you for sharing!! I will also be trying other receipes of yours! This soup is delicious!!!! !….my children and hubby love it!!! !….I doubled the recipe and the second time around I added cauliflower….its sooooo good…thanks for publishing! Delicious recipe. Simple to make. Is it 2 cups or 3 cups? It should be 2 – 3 cups 🙂 I start with two and depending how much evaporates in cooking, I sometimes add up to an additional cup! I made this last night. It was delicious–the perfect meal for a very cold April 1. Looking forward to having leftovers for the next few days! I just used button mushrooms 🙂 Porcini would be great though! Hi, do you cover the pot while simmering? Is 611 calories correct for 1 serving ? It is if you use full-fat coconut milk 🙂 You can substitute lite coconut milk and that will lighten it up a ton! This soup was so delicious! It’s just the third recipe I have made from your website. I love it so much I am going to try many more! This soups is fantastic! Easy to make and very hearty. I added some chopped red peppers and increased the spice, used lite coconut milk with great results! That’s what I did! Red peppers and way more salt. 1/2tsp to all that water (even broth) etc just wasn’t enough. But man, oh man, I’m going to be making this again. SO good. I’d say 6 – 8! I made this tonight. Really yum. My only comment would be that the coconut milk made it a little greasy. Maybe less of it or a lower fat version? Other than that, it was delish and great for a snowy day! don’t have coconut milk in the can can i substitute the coconut milk in the carton. 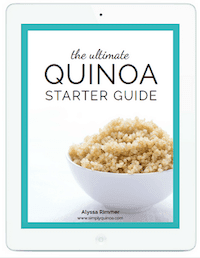 How do you think quinoa would sub for rice in this recipe? on the website it says 1 turmeric but not if it’s a teaspoon or more? 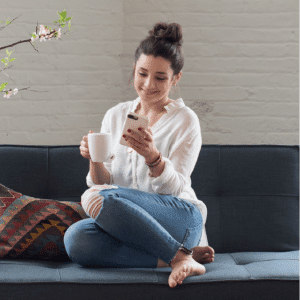 As of April 6, the quantity of turmeric is still not updated …. and the quantity of mushrooms needs to be corrected, too. It says “11/2 cups,” which probably means 1 1/2 cups … but it needs to say that. Thanks. Sounds wonderful. All set! Sorry about that! I think that you portion coverter is off. I plugged in 1 serving and it calls for 5.5 cups of mushrooms! It must be something wrong with the plugin 🙂 The nutrition calculation is just for one portion! This looks delicious! 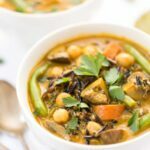 Can you clarify how much turmeric you used? I am up early to go get the ingredients I need to make this.